Rochester, NY – February 2012 – MDI, which was founded in the early 1990s, utilizes 30,000 square feet of class-A manufacturing space in Spindale, NC. It has injection presses up to 600 tons, featuring automation and various secondary operations. Molding Dynamics is a custom injection molder for OEMs in the consumer/industrial space. Alliance is based in Rochester, NY and also has a facility in Mexico. 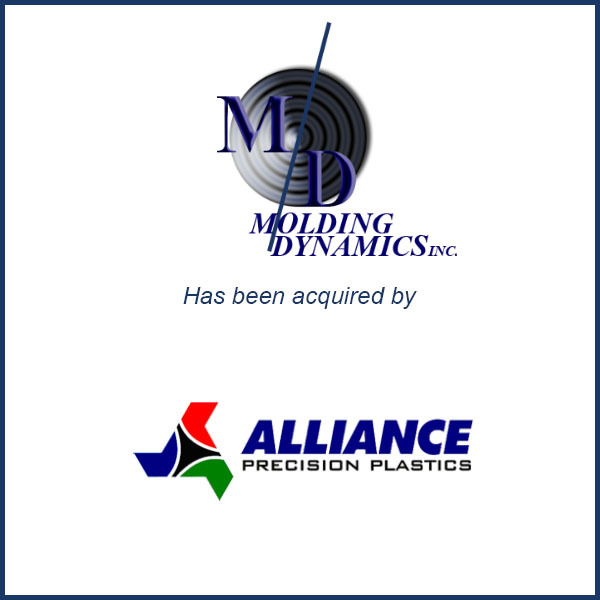 Alliance serves a wide array of customers and industries and offers full scale mold making in addition to injection molded component manufacturing. Molding Business Services served as the financial advisor to Molding Dynamics in connection with its February 2012 sale to Alliance Precision Plastics. Read the entire Plastics News article here.